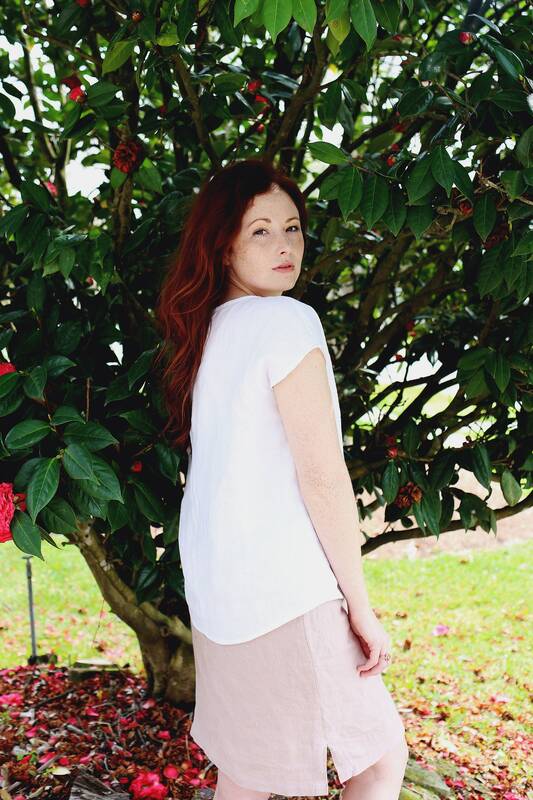 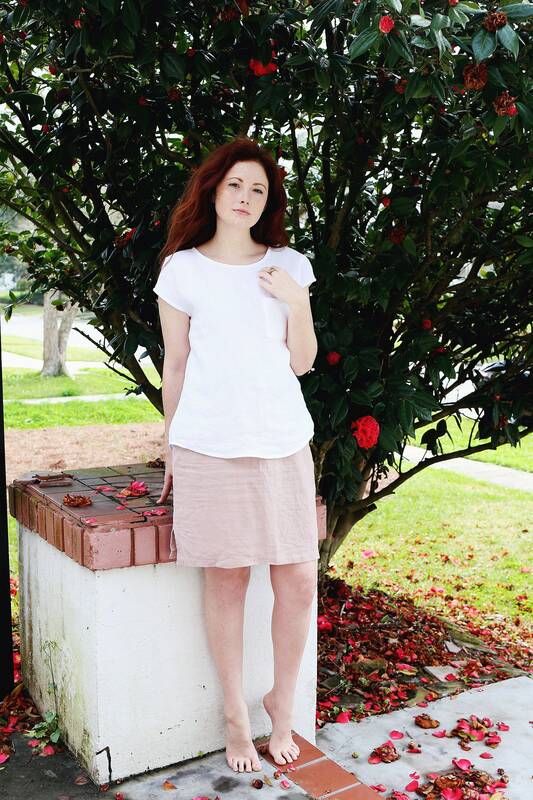 100% linen pencil skirt, with side pockets, comfy wide elastic waist, and side slits. 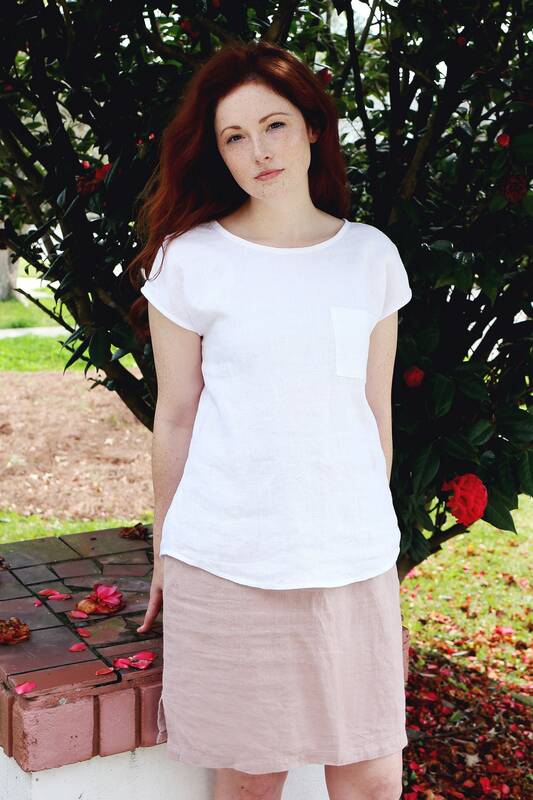 Pictured above in heavy-weight Light Mauve color. 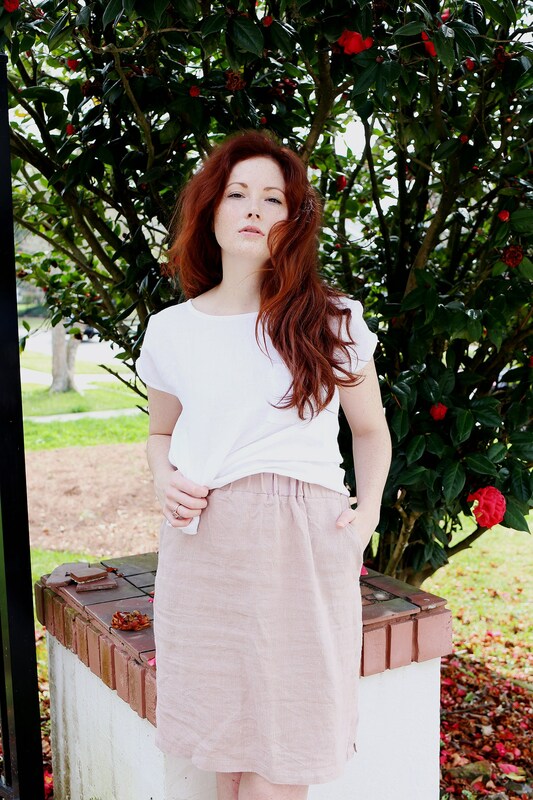 This skirt is available in heavy-weight linen. 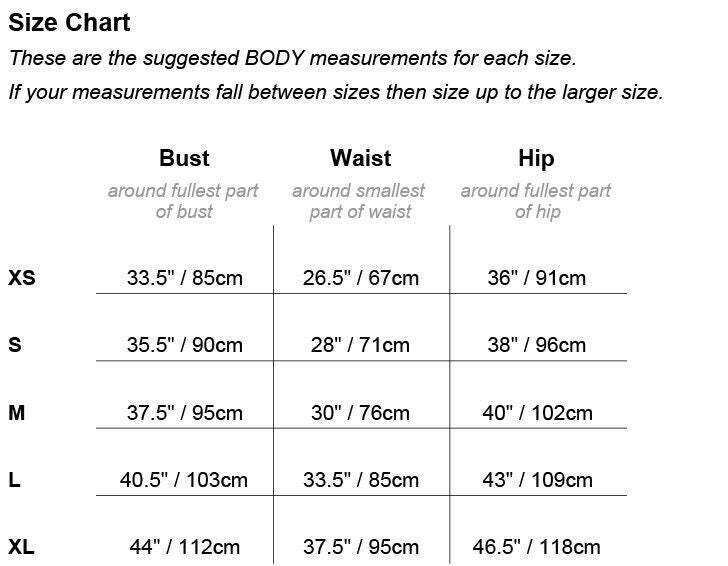 The length is 22” / 55cm.